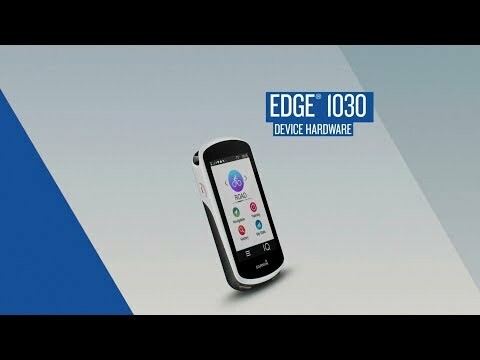 Navigation is what makes the 1000 level Edge units shine. Where other computers need a network connected smartphone, these are loaded with Garmin Cycle Map for North America. You get turn-by-turn routing, course creation and round-trip routing – no connection required. When connected, Trendline routing lets you ride like a local, anywhere Garmin users ride. Create a route, and the 1030 looks at Garmin Connect user’s data to leverage millions of recorded routes to find the best rides and most efficient routes. Touring off the grid for days at a time? The big battery lets you stay out longer. Add an optional external battery pack (not included) to more than double your runtime. Complementing the navigation functions are features like real-time Strava segment integration (requires Strava premium). Harness the power of your phone to show nearby segments on-the-fly, without having to pre-load segments. Strava route integration through Connect IQ, lets you pre-load routes and share favourites with the Strava community. Live Tracking continues to evolve, with rider-to-rider pre-set messaging (through your connected phone). You can not only see where your riding partners are, but send messages to their 1030. Garmin Connect’s mobile app lets you create custom workouts on your phone too. 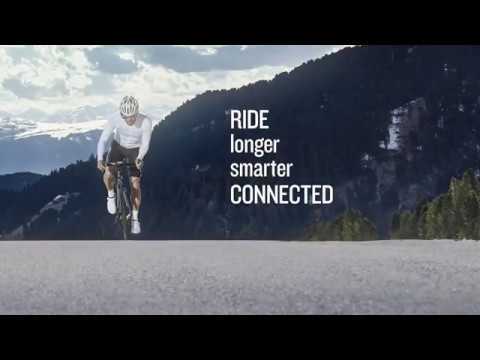 On its own the 1030 is a very capable GPS navigation and cycling computer, when paired with a phone running the Garmin Connect app you take it to a whole new level, with access to digital communities, messaging, tracking, training, apps and so much more. Intuitive touch-based interface allows fast and easy movement between training, navigation, activity profiles, and Connect IQ apps. Garmin Cycle Map with OSM (Open Street Map) lets you get turn-by-turn routing, search out local points of interest, and gets you where you need to go. Trendline™ routing uses Garmin Connect’s database of rider’s routes and tracks, and finds the most popular way to get you where you are going; letting you ride like a local, wherever you are, on or off road. Round trip mapping: choose the distance, the 1030 plots up to 3 different round-trip options. My Stats feature puts your most important performance and health metrics in the same place. Live Tracking during activities (through a connected smartphone) allows you to share your location, speed, and more, with friends, family, or coaches. GroupTrack displays the location and telemetry of your contacts that are using compatible Garmin devices, potentially changing group rides as we know them. Automatically sync your data to paired smartphone running the free Garmin Connect app, where you can create courses and workouts, and send them right to your Edge. Connect IQ support allows you to download apps, templates, data fields, and other features. Training Peaks and Best Bike apps preloaded through Connect IQ. Incident detection uses accelerometers to detect accident and uses you phone to send a signal to predefined emergency contacts. Bluetooth Smart and ANT+ compatibility allows both to be used simultaneously, and syncs with compatible activity sensors. Smart notifications (emails, texts, alerts and more) via Bluetooth connection to a compatible smartphone. Compatible with all smartphones featuring Bluetooth 4.0 (iPhone 4s or higher, and Android 4.3 or higher). Physiological metrics includes VO2 max estimate, lactate threshold, race predictor, recovery advisor, and performance indicator (requires heartrate chest strap, not included). External battery pack (sold separately) extends 20-hour runtime to 44. Integrated antenna for enhanced signal reception from GPS and GLONASS satellites. Barometric altimeter helps you track your ascents, descents, and total elevation changes. Redesigned microSD protects your card from the elements (compatible with microSDHC cards up to 2TB). Customizable screens for each of the 3 activities (road, indoor, and mountain) let you choose what you want to see where. Included out the front mount holds the Edge flush with the handlebars, and allows the connection to the external battery pack. In the box: Edge 1030, mounts (standard and extended out-front), USB cable, tether and manuals. Calculated based on data from a heart rate monitor. An online community where members upload, analyze and share activity data. These units allow you to add maps, so you can mark and name waypoints and create routes on your PC, and then upload the map of your choice to your GPS. Want an easy jog? A fast-paced ride? A workout with lots of variety to keep you on your toes? With programmable workouts you can tailor your training to match whatever you are looking for on a particular day. Automatically triggers a new lap after reaching a specified difference. Automatically pauses timer when you stop or go below a specified pace. Displays beats per minute during activity. Displays calorie expenditure during activity, based on heart rate monitor data. Monitors pedalling cadence and measures pedalling strokes per minute. A POI (point of interest) is a specific location that someone may find interesting (i.e., favourite viewpoint, best coffee stop before the trailhead). The custom POI feature allows the user to load only the POI's that interest them onto their GPS unit. Waypoints consist of a standard set of coordinates (two for land, three for air or space) that identify a specific physical location. A route is navigated between two or more waypoints. Displays output in watts as you ride. Shares data wirelessly between compatible units. A basic set of map data that is included with the GPS. Basemap detail may vary from unit to unit. Attaches to your shoe, captures your running data (i.e., pace, distance), and transmits it to your heart rate monitor or GPS. Displays heart rate zones during activity. Barometer function helps forecast weather trends. An altimeter can provide one line of position for location on a topo map, useful if the GPS isn't working. A coded instrument ensures no interference between your chest strap and your watch, necessary if you are training in busy gyms or trails where other signals may be encountered. Allows user to monitor training goals with either a virtual partner or alarms. Pauses the timer when slowing or stopping, and automatically resumes when moving again. An alarm that notifies you if you vary from a pre-set pace.